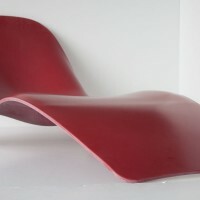 Manuel Kretzer of Responsive Design Studio has sent us the Floater chaise that he has designed together with Mathias Bernhard. 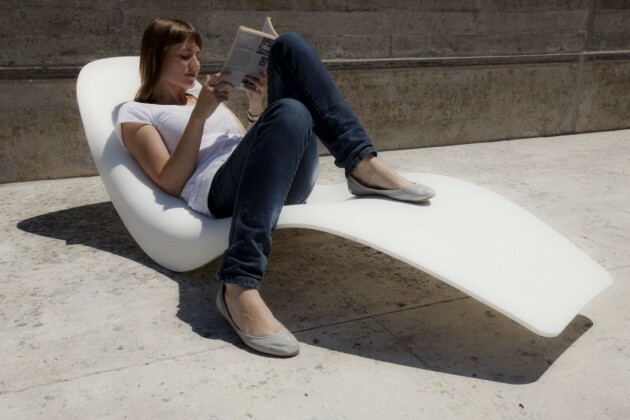 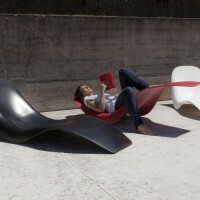 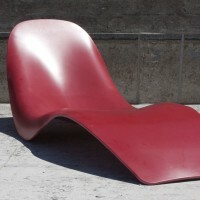 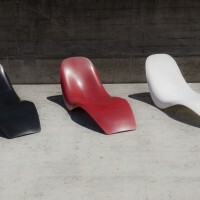 Floater is a chaise longue designed by Manuel Kretzer and Mathias Bernhard at the Chair for CAAD, ETH Zurich and was produced in close collaboration with Kläusler Acrylstein AG. 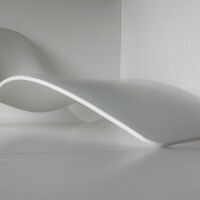 The elegant sinuous design is based on the distinctive material properties of acrylic stone combined with advanced digital design and fabrication techniques. 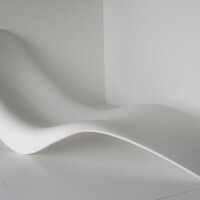 Generative modeling and analyzation tools were used to maximize the available area on each sheet of 12mm “HI-MACS solid surface” and minimize stress due to bending. 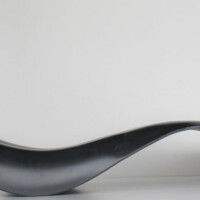 The design was adopted according to these parameters and split in three parts to be manufacturable from standard sheet dimensions. 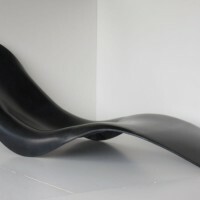 The 2D-CNC cut flat pieces were then vacuum formed on 3-axis CNC milled MDF molds and afterwards seamlessly glue-joint to form a single monolithic shell. 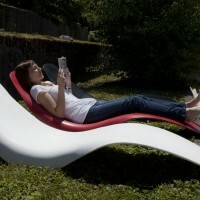 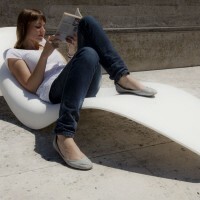 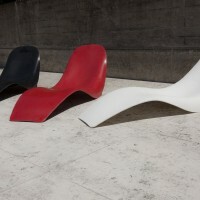 The wings on each side appear to hardly touch the ground and emphasize the floating appearance of the chaise. 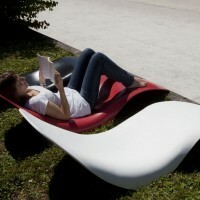 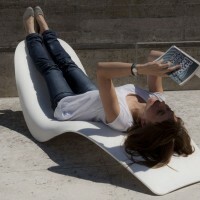 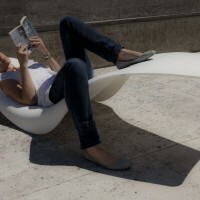 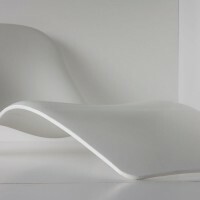 They also enable the user to gently rock back and forth while relaxing on the smooth and durable surface.